Imagine That – Eclectic work in a wide range of media – watercolors, acrylic paintings, papier mâché, metal and found object sculptures, cyanotype prints and collages. Download and print these Handmade City fliers! Click the graphics to download a printable version of our fliers. Share the love! 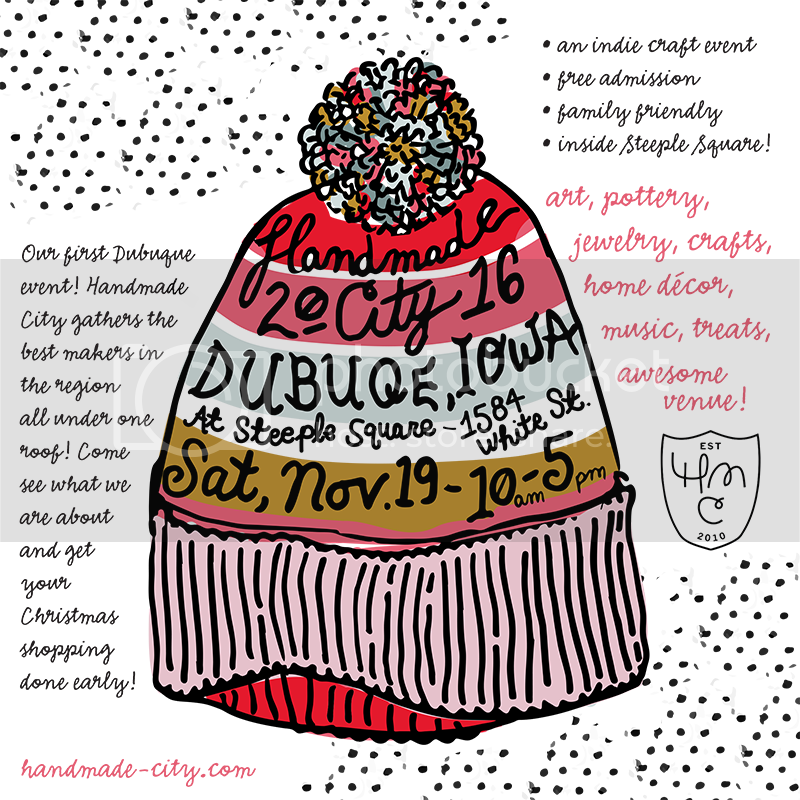 An indie Crafts + Art collective that hosts seasonal events promoting handmade modern makers. We pride ourselves in creating a unique and fun atmosphere for forward thinking makers and likeminded shoppers. HMC at Steeple Square, Dubuque – Applications are open! 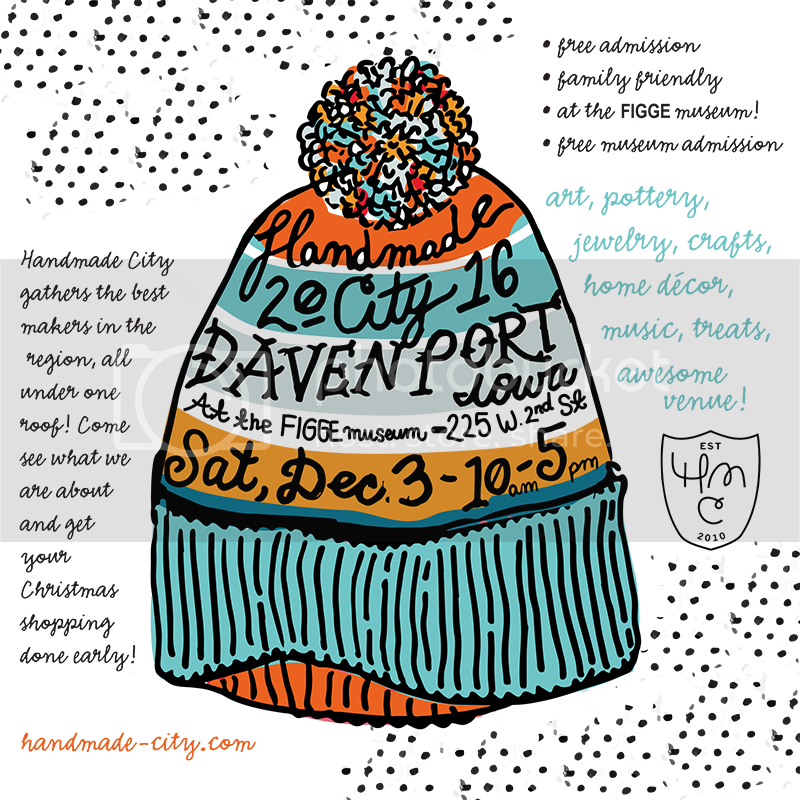 Handmade City at Steeple Square – vendor list!